Traveling alone, more commonly known as solo travel, is a quickly growing trend that has become somewhat of a rite of passage international travelers around the globe. Instead of traveling with their best friends to new places and enjoying them together, more and more people are choosing to travel by themselves. Why? Overlooking the West Fjords, the small town of Súðavík sits on the opposite shore. It’s embarrassing how long I spent jerry rigging a stand for my phone together out of nearby stones. Why Do People Want to Experience Solo Travel? The first group, I usually find, cannot really be convinced until something in their brain flips. 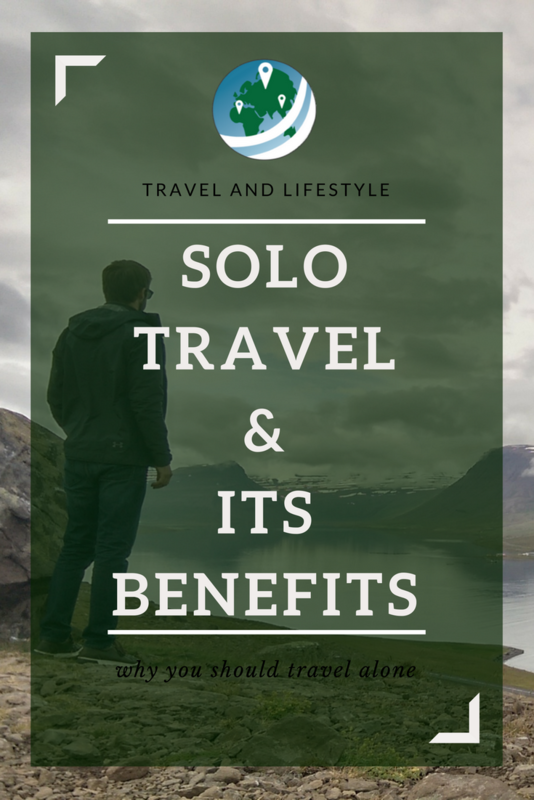 In other words, rational arguments of the benefits of solo travel probably do nothing for them. And, you know, of course, that’s okay. The point of this post isn’t to tell everyone that they need to travel alone. The purpose of this post is to shed some light on why this type of travel has become so popular so quickly. Through the post, I want to detail some reasonable response to people who would fall into that first group. I hope to answer some of the questions people in that second group might have as well. Finally, I want to provide some encouragement, support, and motivation for the third group. Through the course of the past 5 years or so, I’ve fallen into each of these groups. Finally, by about 3 or so years ago, I’ve settled into a state of appreciating and enjoying solo travel. Again, I’m not here to evangelize it as the only way to travel. I just believe it’s something worth trying to elaborate why people do seem to talk about it so much (in the travel blogging world, at least). So, it seems that Group 1 (might as well just keep up with the gross generalizations at this point…) sees solo travel as somehow out of their comfort zone. This is probably the most normal answer to the question. Comfort zones are, well, comfortable. Planning out a trip (to the extent that you need to at least) and preparing for it can be a lot of work, especially for a first-time solo traveler. Add on top of that having no one else to help you out, and no one by your side once you get to this new and unknown land. That’s a recipe for anxiety, for a lot of people. I know I was worried about quite a few things before my first solo trip. 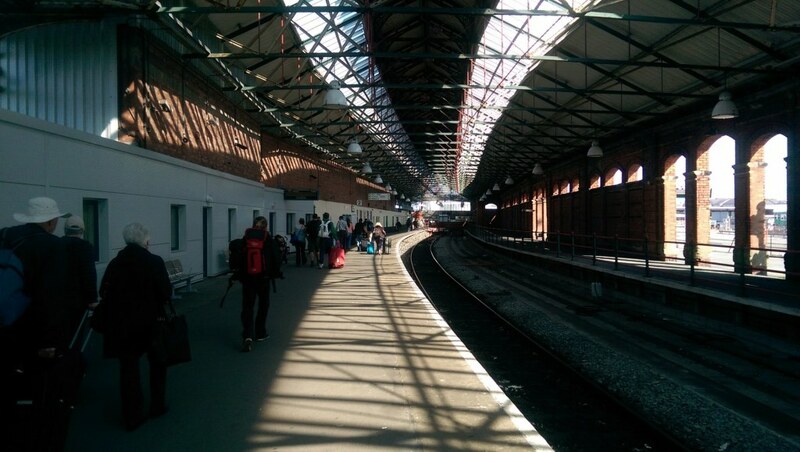 The rail station at Holyhead’s ferry terminal, aka the last view I saw before I got on the boat that began my first solo travel trip. This was when I finally realized it was real. I was walking into the beginning of the first trip something that I had complete responsibility for. Where would I sleep? Would it be hard to meet and talk to people? Would I get bored? How do I get from place to place? Would it even be worth it? These are some very common questions that add up to make for some very anxious first-time solo travelers, including myself. Well – it turns out that the old “no pain, no gain” phrase has some credence here too. It is precisely that anxiety which, when overcome, makes people more confident. Without feeling anxious about something and then breaking through that mental barrier, it’s hard to change. You can certainly put me in the camp of people who believe that more experience = more fulfilling life. But the only way those experiences are fulfilling is if there is some adversity or difficulty overcome. It’s not like solo travel is some kind of boot camp, testing people to see how they handle “adversity” or anything like that. I don’t think you could find a way to describe this kind of travel as “adversity”, to begin with. The difficulty comes from within, comes from challenging our own beliefs, and our own self-confidence to do things we haven’t done before. Even if that means just having dinner alone. Even if it means walking into the hostel bar, asking for a beer (or a water! ), and finding someone to talk to. That’s not really an adverse situation, but it’s certainly something many people would not choose to do, outside of solo travel. Taken from inside one of my favorite little bars, Destille, in Heidelberg. I was recommended to go here by a friend and I was not disappointed. 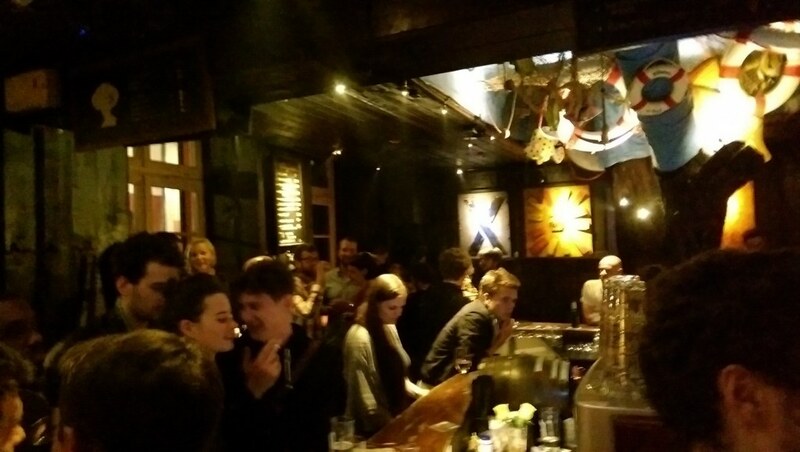 I was a little uncomfortable at first, before it was this full, but eventually, I bumped into a group of Germans going to uni in the city, and we quickly became friends over some of the bar’s famous 1 Euro shooters. It’s more about challenging our perspectives, beliefs, and basic understanding of the world. We are so immersed in our home culture, society, and way of life that it’s hard to imagine how other places do things differently. Hell, even something as normal as grabbing a coffee can become an adventure in a new place with a new language. This is generally what traveling abroad does for us, with or without our friends and family. I would argue though that the learning curve is much steeper when you don’t have a friend to rely on. Alone, you have a much more raw experience with the new place you’ve gone to. Solo travelers are essentially forced to adjust to these new surroundings alone or with the help of strangers, not friends. As I mentioned before, solo travel forces you to take care of all the preparations for your trip, or plan everything as you go along if you choose to. Everything from the initial travel to your destination to ordering lunch every day is on your shoulders. That means that you, not anyone else, have to figure out where to go and how to get there. You need to find out what to bring, how to get around, what to do, what to eat, and if you need to learn some of the local language or not. All that responsibility is on your shoulders. However, this need for self-reliance is a blessing in disguise. If you have to figure everything out for yourself, you also get to decide everything for yourself. You are the beginning and the end of the conversation of where to go, what to see, what to do, and where to eat and drink. This kind of freedom is honestly addictive. 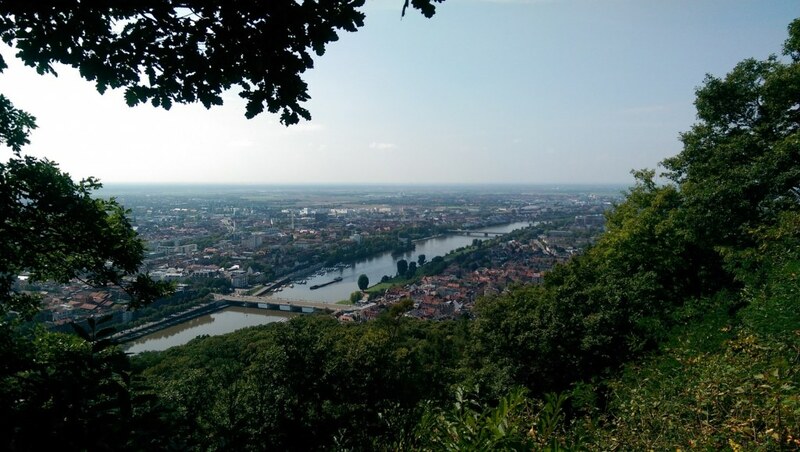 During my summer trip around Europe in 2015, I spent a week or so with a group of friends in the Budapest/Vienna/Munich area. It definitely took me some time to get back into the swing of traveling with other people. There were times I wanted to just relax for an afternoon at the place we were staying. There were times I wanted to eat somewhere else or go to a different bar. I got used to feeling the need to compromise with others again, but I hadn’t really realized how much I had taken having that freedom for granted. Ugh… but that’s not my favorite thing! Of course, you really aren’t sacrificing too much by having to make group decisions. I don’t mean to sound like the people Louis is hilariously commenting on in the clip above. The real benefit from solo travel comes from just having that total freedom to decide everything for yourself. If you want to stay a bit longer in a certain place, you can. If you want to spend an entire day in a couple museums, you can. Just having that flexibility is a really amazing feeling. Maybe you’re burnt out of the party scene and you want to pick a cheaper accommodation a little out of the way in your next destination. When you travel alone, there is no one to stop you from doing it your way. If you want to spend the evening with that group of Australians you just met, you can. That brings me to my last point about solo travel. That is that it gives you the freedom to meet and actually get to know new people. I was very lucky to have met a great travel partner in 2014. 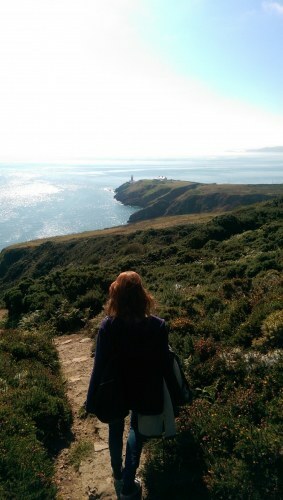 We met early on at the end of that ferry ride from Holyhead in Wales to Dublin. Actually, we traveled around the island together because we got along so well. We wouldn’t have had that chance if we either of us weren’t traveling alone. This is probably what keeps me coming back to solo travel. Sure, the excitement that comes with the opportunity to change our perspectives and get out of our comfort zones is one thing. The feeling of freedom that comes with traveling exactly how we want to is another. However, I think the biggest draw that keeps people traveling alone is the ability to choose whether to travel “with” other people you meet, or even in a more isolated way. Look, we all love our friends, especially those we travel with. We have inside jokes, we understand each other’s preferences, and we just plain get along well. However, when you travel with your friends, the trip becomes more of an extension of your friendships than a personal experience for you. Again, I’m not saying this is a bad thing, hell, it’s really fun. But when you travel alone, you’re open to meet anyone whom you cross paths with. You’re also free to spend a day by yourself if you want to, without feeling like you’re letting your friends or family down or hanging them out to dry. Not to get all sappy, but it’s through meeting these other people that we actually learn about ourselves. Maybe not in a new age-y “find yourself” kind of way. But, we do learn how we act in situations that we normally wouldn’t find ourselves in (e.g. out of our comfort zones!). As we are traveling alone, there is no friend to easily fall back on. There’s no one to rely on when you walk down into the breakfast room in the morning. New day, new people to meet in order to have someone to sit and eat with. 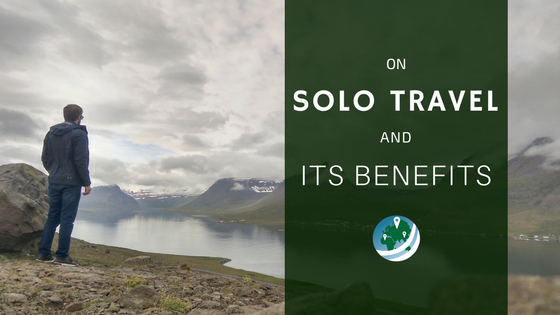 Solo travel practically forces you to reach out to other people for some human contact. Then, after meeting some new people, solo travelers can choose to keep moving along or to spend more time and really get to know them. Additionally, with solo travel, we can decide to take it easier for a while and keep to ourselves if we need to recharge. At the end of my trip around Europe in that summer of 2015, I flew back to Iceland for a road trip to cap off the trip. As I mention in my Exploring Iceland series, that solitary trip was the perfect ending to a summer of meeting a ton of people. It was an amazing chance for me to reflect on the crazy trip I just had. Plus, I was in the absolutely hauntingly perfect setting of Iceland’s Westfjords region. I only planned that road trip a couple days prior in Hamburg. I only had the flexibility to do that because I was alone, and I only had the opportunity to really reflect because I was alone. I have never traveled alone and my Dad would try force me not to as he tries to be really controlling despite me being 21 but I really want to. I was going to go to London with another blogger I met online from my city who I haven’t met in person before but then something came up and I couldn’t go. However I think the first time I’d need to be with someone else and would’t feel comfortable doing this right from the start. Hey, not knocking traveling with others here! Just saying that given the opportunity, and given the right state of mind, those who can solo travel, should! It’s a great way to get out of your comfort zone (once you’re familiar enough with travel in general) and find new perspectives. Maybe your dad is right in thinking that you shouldn’t travel just yet, and maybe he’s not. Really, if you think you are ready, plan it out, ask around the web for tips and tricks, and get out there! Yeah, I just meant I personally would probably want someone with the first few times till I got used to it but then would most certainly consider travelling alone.